The Yoga Sutras of Patanjali provide an essential foundational text for yoga. Yoga has developed over many centuries, both as a philosophical tradition with links to Hinduism, and as a form of practice and lifestyle for addressing the challenges of human existence. Due to its long history, yoga has developed into many branches that have common threads, as well as divergent philosophical underpinnings and practices. The proponents of yoga have developed their viewpoints in the context of the existing culture, primarily Vedic philosophy and its derivatives, as well. For this reason, Yoga is considered in India to be one of the six darshanas (philosophical viewpoints) that are recognized as the main philosophical viewpoints and religious or spiritual traditions native to India. Classical Yoga as codified by Patanjali in the Yoga Sutras, is one of the six darshanas. In the Yoga Sutras, Patanjali encompasses in four chapters (Padas) both Samkhya philosophy (another of India's darshanas) and the essential practices of yoga for attaining liberation from suffering. As a method for attaining liberation or salvation, the Yoga Sutras are considered soteriology, as well as philosophy. Sutra means thread, which implies the barest of texts that conveys a deep truth. Each sutra must be explored through a meditative practice, with guidance from an experienced teacher, for its embedded meaning to be understood. Patanjali begins this chapter with a definition of yoga as the state that arises when fluctuations in the mind are stilled. He tells us that a balance of effort and letting go are the ways to attain mental silence. Patanjali list the obstacles we may encounter to attaining mental silence but, having overcome such obstacles, what it is like when we have achieved mental silence. The resulting state of absorption dissolves in particular the sense of separateness and illusory isolation that is at the root of much of our mental pain and suffering. Chapter 2 begins with a definition of Kriya Yoga, the yoga of action, which consists of deliberate effort, study of the self and traditional texts, and devotion. The purpose of Kriya Yoga is to alleviate the causes of suffering (the klesas) and to attain Samadhi (absorption). Vibhuti has several meanings: it denotes the sacred ash that remains when dried wood is burned and signified what remains when the impermanent (the ego and its many manifestations) is discarded. What remains is the innate wealth that is divinely given. This wealth consists of the special abilities or powers listed in Vibhuti Pada that result from samyama, the combined and integrated practice of concentration, meditation and absorption into various objects of concentration. For those whose practice is primarily asana, the wealth described in this chapter consists of a gradual awakening to the deep way in which the external world and its interconnections is mirrored by our own internal body and mind. 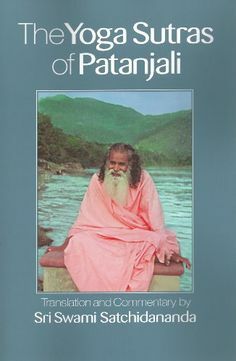 In this final chapter, Patanjali outlines his theory of consciousness, how it is constructed and what happens to it when it liberated from its fundamental confusion between the isolated self and a Universal Self. Kaivalya means "aloneness" but it does not refer to isolation; it refers to the experience that in the deepest realization there is no division between self and Other. Aspects of our day-to-­day experience that are natural consequences of the illusion of separateness--passage of time, feeling of isolation, mental suffering--all fall away upon the realization that is kaivalya.